A car valet canopy at a surprisingly great price! A car valet canopy, designed, manufactured and installed is an ideal solution for professionally valeting vehicles. 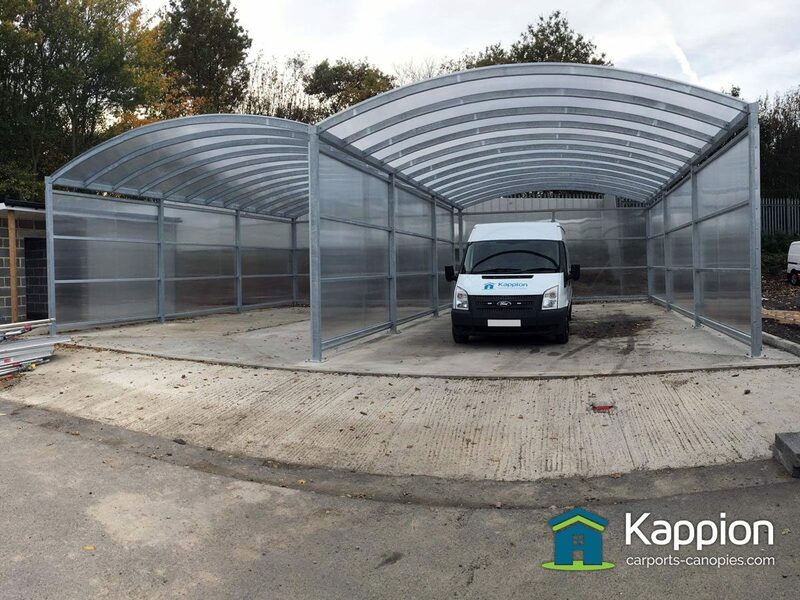 Our design incorporates an uninterrupted span that allows great access around cars and vans with cleaning equipment and machinery. The wide span also allows vehicle doors to be opened to assist with interior cleaning without restriction. 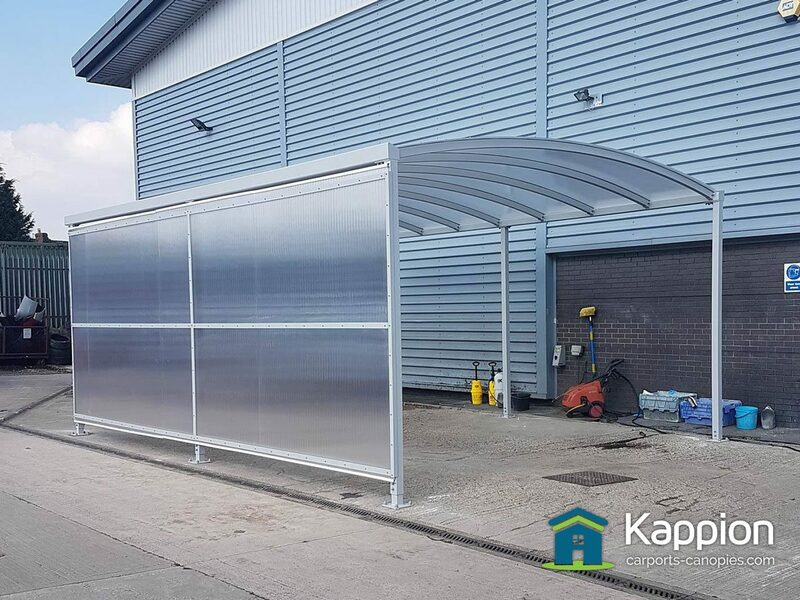 The car valet canopy we design, manufacture and install can be modular, so you can have multiple bays partitioned off with a polycarbonate infill wall system. This will prevent any overspray from vehicles being washed in one bay causing issues for a vehicle in another bay where waxing or interior cleaning might be taking place. Our car valet canopy offers protection from the elements 365 days of the year. So no matter what the weather you can provide the best service to your customers. 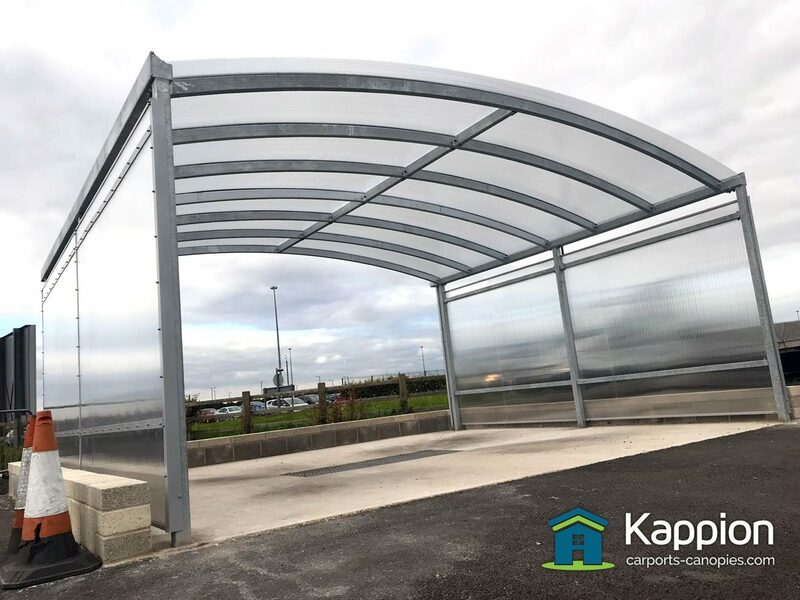 You can also be sure that you are protecting your staff underneath the canopy so that they can provide a professional finish for your customers. Our car valet canopies are hot dip galvanised for complete rust protection and then optionally powder coated to your chosen RAL colour. This gives you a long lasting finish. All canopies are glazed with multiwall polycarbonate which comes in 3 colours. The car valet canopies are available with a variety of side wall panelling options depending on your requirements, when we survey your canopy location we can discuss the best options that suit your car valet canopy. The car valet canopy can be surface mounted onto your existing concrete base (if there is a sufficient thickness and a good grade of concrete). If no suitable base is in place, we will arrange to install foundations prior to installation. The car valet canopy will come with an integrated guttering system, this enables us to carry the rainwater off the canopy away to the preferred area and aiming to keep the valet bay dry. Your canopy will be designed and structurally engineered to your specific location – designed to withstand snow loads and wind speeds for your area. 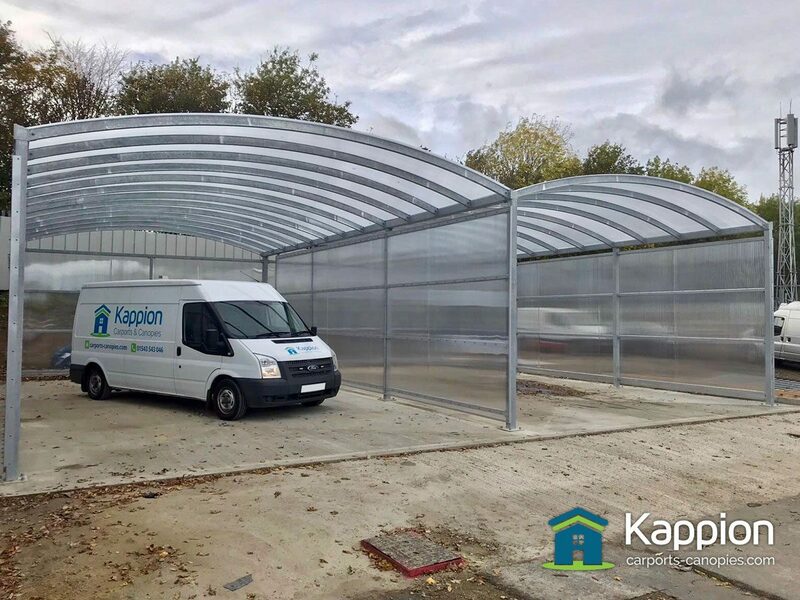 When you commission a car valet canopy installation through Kappion Canopies you can be reassured that it will be custom designed and structurally engineered to work with your geographic location. It will be designed to withstand the snow loads and wind speeds for your area. 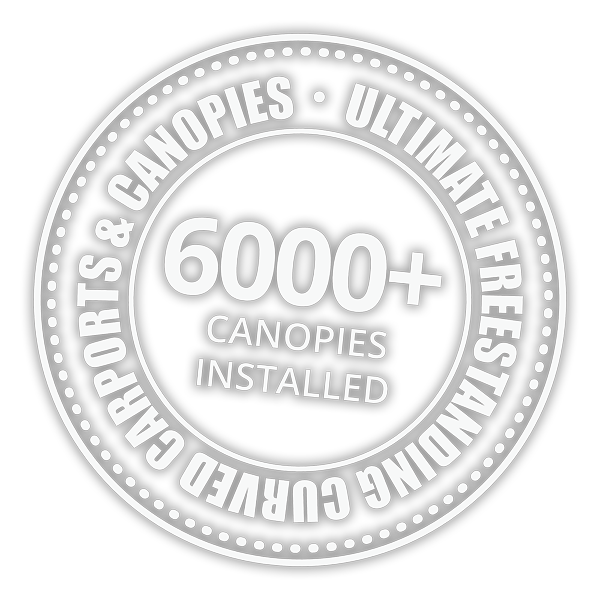 The canopies installed are made from steel for ultimate strength and resilience. They are hot dip galvanised for complete rust protection. Once galvanised the canopy will be powder coated to your chosen RAL colour. The roof will be glazed with your colour choice of long lasting 10mm multiwall polycarbonate. Finally, guttering and downpipes will be designed to meet your exact requirements, which will allow water to be directed to the nearest surface drain, keeping the area dry. Thinking about purchasing a car valet canopy? If you would like more information please get in touch. If you would like to request an estimate please use our Get a Quote! enquiry page.